It's the end of another week and there's really been one story that has dominated the headlines – Takeda’s potential takeover of Shire. It should come as no surprise that our most viewed story of the week relates to the purchase. It's the end of another week and there's really been one story that has dominated the headlines – Takeda’s potential takeover of Shire. It should come as no surprise that our most viewed story of the week relates to the purchase. 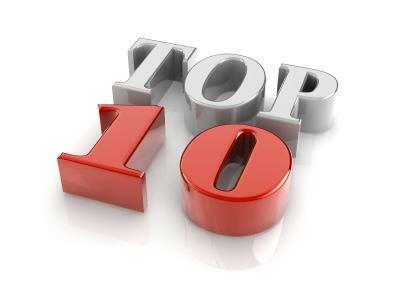 The story continues to develop and it’s more than likely that there’ll be another story in our Top 10 next week, as we finally learn whether the deal will go through or not. However, if you were able to keep your eyes of that saga, there were some particularly interesting stories that came out this week – not least Sanofi’s divestiture of assets, which saw the company sell of its European generics division. In addition, there have been breakthroughs for two treatments more commonly associated with the party scene rather than the clinic. Novartis revealed new data on Entresto in preserving kidney function in patients with heart failure with reduced ejection fraction (HFrEF), demonstrating that those taking the drug experienced a slower rate of decline in eGFR. Amgen has lifted the curtain on complete Phase 3 data for Aimovig in the treatment of episodic migraine in patients who had previously failed two to four preventive treatments, whether due to ineffectiveness or intolerable side effects. MSD is once again flexing Keytruda’s muscles, this time unveiling that the anti-PD-1 drug has excelled in combination with chemotherapy in the first-line treatment of metastatic nonsquamous non-small cell lung cancer. After a busy start to the year, with a number of acquisitions and a few divestments, Sanofi’s Chief Financial Officer, Jérôme Contamine, is set to retire before the end of the year. GW Pharma are inching step by step towards a likely approval with the FDA, after it received a strong recommendation within a briefing document prior to the FDA advisory committee meeting. The results for J&J's ketamine-based nasal spray are promising – in a double-blind, multicentre, proof of concept study showed that the therapy significantly improved depressive symptoms, with a rapid onset of action. Manufacturing issues at the single Pfizer plant that produces the EpiPen epinephrine injector has caused serious shortages in the UK and Canada, but the US remains unhurt by supply issues. Sanofi has begun part of a larger process of slimming down its business with the sales of 12 medicines. Shire announced that it entered a definitive agreement for French drugmaker Servier to take on its oncology business, in a move that opened up further questions about Takeda's approach for the company.